You can do this by yourself if you have to. With the right direction and support, lifetime recovery is possible. Is your using recent and severe? You need detox. Do you feel as though you pose a threat to your own safety or the safety or others? To begin, you might be better off in a residential inpatient or lockdown hospital situation. You can call your insurance company, if you have one, to ask what your benefits are and where you are covered for treatment. If you’re diving in and ready to get help at any cost, you can call a service like Hired Power who can help you make the best recovery plan possible in an expedient manner. Time is of the essence when you decide you need to seek treatment. You don’t want to waste too much time convincing yourself that you don’t have to go. However, all treatment and recovery options aren’t equal. Sadly, there are major companies in recovery with big marketing budgets that look great but don’t provide quality service. Do your research in as timely a fashion as possible. 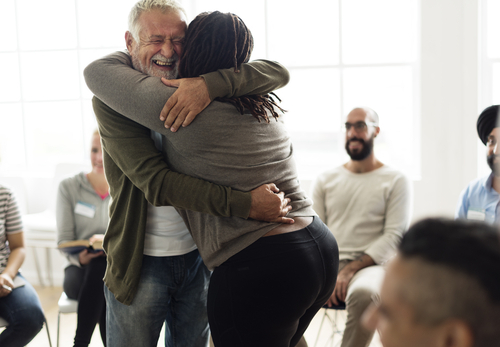 If you feel like going to a meeting like Alcoholics Anonymous, you can share about your need to find treatment and will likely be met with many helping hands and suggestions. So you’re the independent kind without many friends and family. That’s okay. For recovery, you’re going to need people to support you. Make friends in treatment, enlist at least one person you trust to be your emergency contact, and find a sponsor as soon as possible. Services like Hired Power keep you connected, supported, and accounted for throughout your recovery journey. Isolation can be a trigger for relapse. You’ve been using alone for many years. Being alone is now associated with using drugs and alcohol in your memory bank and the deepest places of learning in your brain. Learning how to be part of a fellowship of peers in recovery is one of the bright spots of being sober. Hired Power is a family who supports everyone seeking recovery in their lives. Our recovery services range from safe passage transport to recovery planning and sober monitoring during after care services. You can do this. We’re here to help you. Call us today for more information. 1-800-910-9299.